January 1 -- About 35 Sea Cliff residents gathered at the John Burns Village Green late Tuesday night to literally ring in the New Year. 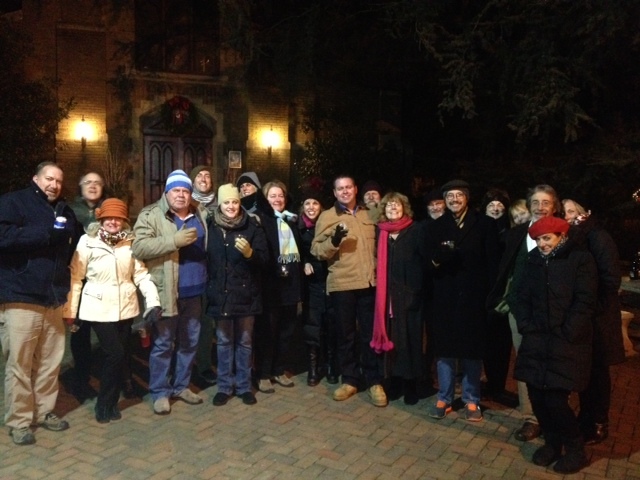 After the traditional count-down to midnight, Ann DiPietro tolled the bell 14 times, and then the group broke into a rousing rendition of Auld Lang Syne. The gathering, Ms. DiPietro said, "was in response to the desire of many to share a brief moment of communal celebration." It is envisioned to become a larger annual event.